Strongwell employees were recently given the opportunity to listen to local holiday a cappella carolers. 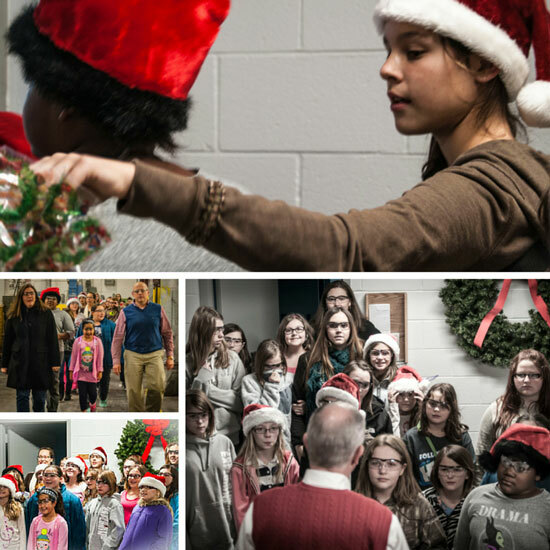 25 students and staff members from Bristol’s YWCA TechGYRLS program entertained Strongwell employees with Christmas classics such as Rudolph the Red-Nosed Reindeer, Jingle Bells and Santa Claus is Coming to Town. Production and operation employees also assisted with some of their vocal tenors and falsettos. Many thanks to Tonja Leonard, Katy Stigers and the rest of the YWCA staff for providing Strongwell with fun holiday cheer.